This is a truly spectacular architectural plant. Cardoon makes a dramatic statement with its arching, ghost-like, jagged, soft grey foliage. Once established, it is topped with stalks of striking, blue-violet, thistle-like flowers which are excellent for cutting and drying. For a stunning accent plant in the border, this one is hard to beat! 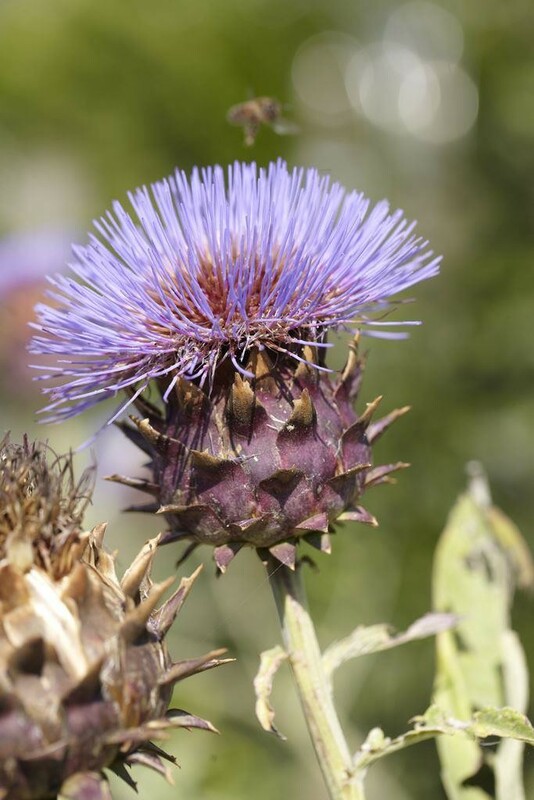 The thistle-like Cardoon (Cynara cardunculus) sends up stalks as tall as six feet or more. The dramatic flower heads, which are often in clusters, reveal this plant's close relationship to the globe artichoke. Supplied in 2-3 litre containers.